Wow, another great example of a chatbot but for track your money, bills, savings and spending. 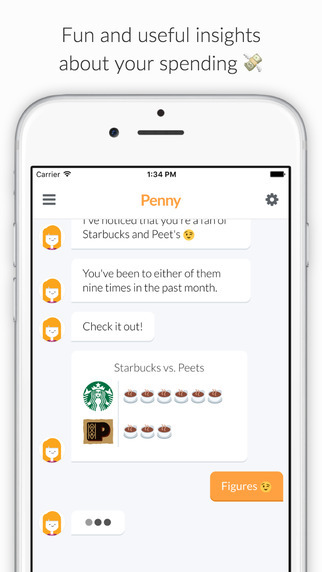 Penny App – Chat with Penny to track your spending and plan for a better financial future! iButterfly, that lets you catch virtual butterflies and turn them in for valuable offers.